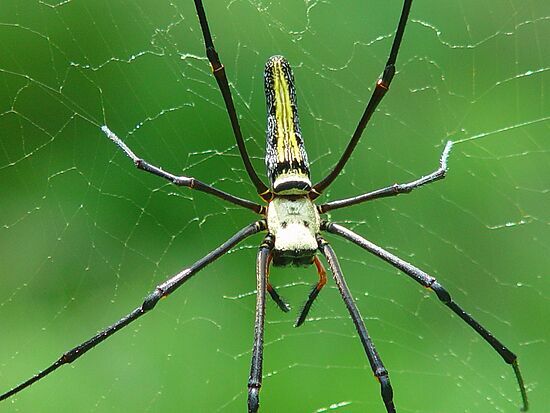 Photos of Spiders in Thailand: The golden web spider, Nephila pilipes. Photo of huge female Golden Web Spider (Nephila pilipes) found in the bush of Maesalong mountain in Chiangrai province, north of Thailand, South East Asia. Copyright: Photographer Koontolrat Ratanasing, Thailand.